Lyle also heads up Dixon Advisory’s Victorian presence from our Melbourne office. Working with our team of directors and staff the Melbourne office looks after not just our Victorian clients, but also clients based in Tasmania, South Australia and Western Australia. Lyle started working with clients of Dixon Advisory in March 2001 when he started at ABN AMRO Morgans (now RBS Morgans) as a Private Client Adviser. In October 2002, Lyle became Branch Manager of a new ABN AMRO Morgans branch established solely to service Dixon Advisory’s clients. In August 2007, this service was internalised with all staff moving to Dixon Advisory with Lyle promoted to Managing Director of the Investment Advisory division. 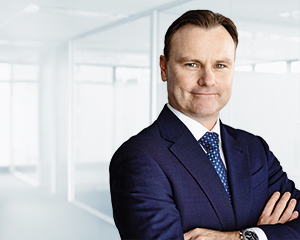 Prior to working with Dixon Advisory in 2001, Lyle worked with National Australia Bank in various roles including Private Banking, Corporate Finance and Financial Planning. Lyle has a Bachelor of Economics and Arts from the Australian National University and is a Fellow of the Financial Services Institute of Australasia.